Dear Ruby joins the crowd. When Paloma died on the 16th, a little over a week ago, and, in turn, just a couple weeks after the sad loss of Casey, she was the last of the ‘kitchen’ group. 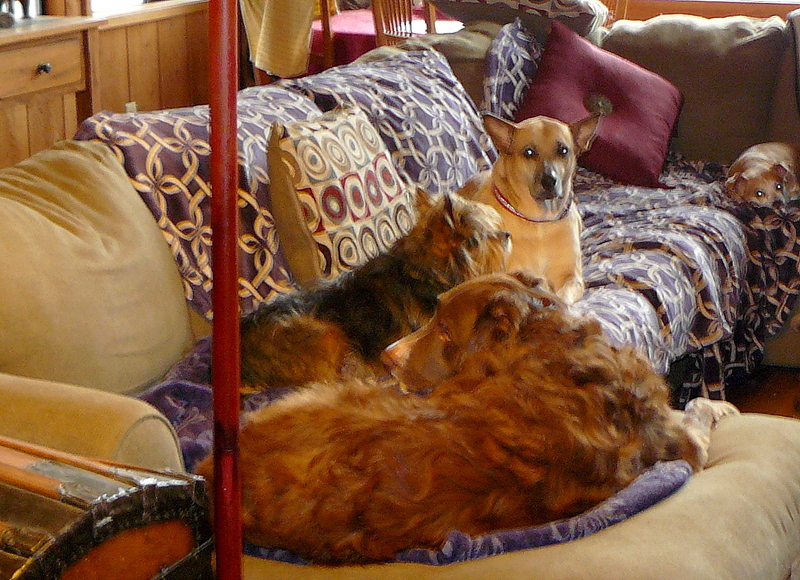 To explain to newcomers, ever since we moved to Oregon in 2012 we had our dogs divided into two groups: the ‘kitchen’ and ‘bedroom’ groups. Primarily to ensure the minimum of any tensions between what at times has been 12 dogs. There is a gate between the living room and the kitchen area and we have been leaving that open hoping that Ruby would work out when it was the right time to join the others. That right time was yesterday afternoon around 4:30. I grabbed my camera and quickly took a few flash photographs. They weren’t very good because Ruby is upset by camera flashguns. But the following is the best of the set and Jean and I wanted to share the lovely occasion with you. From the foreground: Oliver, Sweeny, Ruby and to the right little Pedy. Why did I choose the title I did? Because a few moments before Ruby jumped up on to the settee Jean and I had been giggling about something silly. That looks like a happy pack. I will someday have another one. Love the picture. Susan, don’t leave it too long! Many thanks for your kind words. Working on it, Paul. Mags wants someone to boss around, lol. That is such a cute pic. Ruby is a beauty. Making note of the occasion is sort of akin to what parents do when the baby says it’s first word or takes its first step. 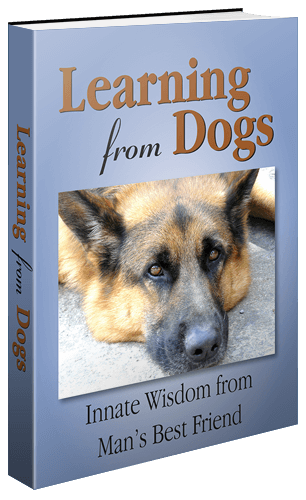 I have done the same along the lines and rejoiced when any of my pets made significant changes in routine, behavior or recuperating from a serious illness. But I have not taken in photos and that is regretful. Yvonne, you have taken great pictures in your mind as your reply illustrates so well. No question, it was an important step for Ruby. Eve, lovely to hear from you and welcome! Would it help that yearning if you were to write about your feelings? For they would be greatly appreciated by the folks who cross this particular blogging doorstep. Thank you! So cute Paul they are looking so happy and want to be together. Thanks! Yes, so far, so good. Three of the dogs that sleep in the bedroom (out of the five) rushed to greet Ruby first thing this morning with Cleo giving Ruby a quick kiss. This is lovely Paul 💕 May the pack continue to enjoy each other’s company, and life be a bit easier for you and Jean! Jean and I were just saying that if it continues to go well then over the weekend I will remove the gate and fence presently between the kitchen and living room. Then for the first time since October 2012 there will be unfettered access between the two rooms. That will feel strange! Sue, fondest love from Jeannie and me, and one or two paws, for a gentle and happy weekend for you and your loved ones. Sorry seems my predictive text changes HOW to Out.. Dogs can feel the happy energy so that made the shift easier for them. Such a happy moment for all. That’s a very good cogent point. Thank you for making it. Thank you, it is Mother’s Day tomorrow here so I feel my weekend will be a Happy One..